Get ready to seriously up your highlight game with a take-charge bronze glow and metallic chrome finish. Ready to heat up your makeup look? This limited edition highlighter has ultra-reflective pigments for a radiant metallic sheen. Puma x Maybelline Chrome Highlighter Makeup is essential to your bold, confident and unapologetic makeup look. Discover the rest of this high-endurance makeup range. 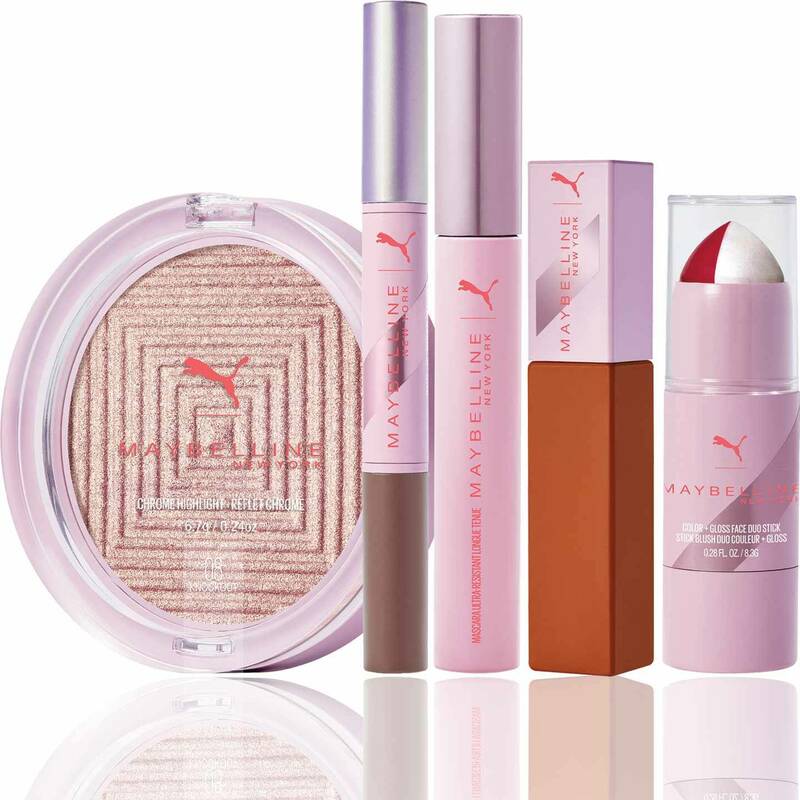 Puma and Maybelline come together to create a new, limited edition makeup collection that fuses beauty, fashion and sport. Streetwear-inspired color meets high-endurance technology to serve up fearless looks that keep up with your trailblazing lifestyle. Step 3. Blend for a gorgeous metallic glow. Dust this easy-to-apply, ultra-reflective highlighter powder makeup across points of the face for a subtle glow or layer on for a bold, melted-metal makeup look. A fearless flush of color and the perfect glossy finish for a natural, rosy glow.